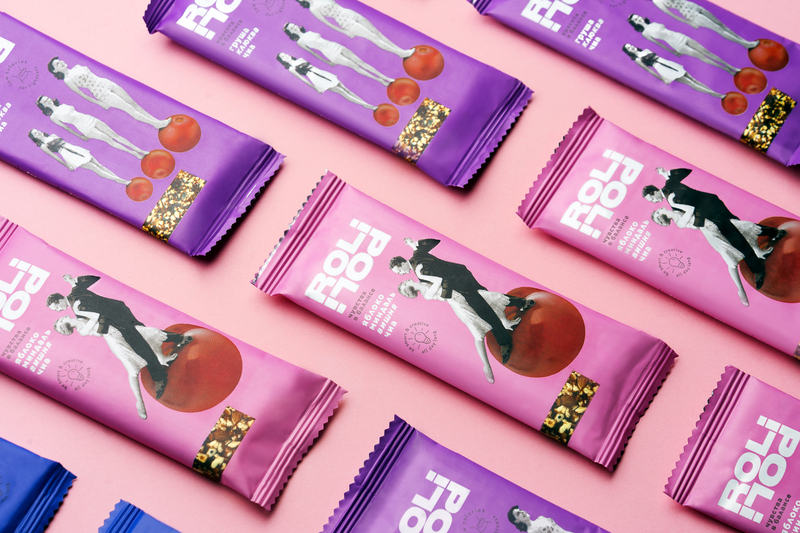 To develop a new brand of natural fruit and fruit-nut bars. 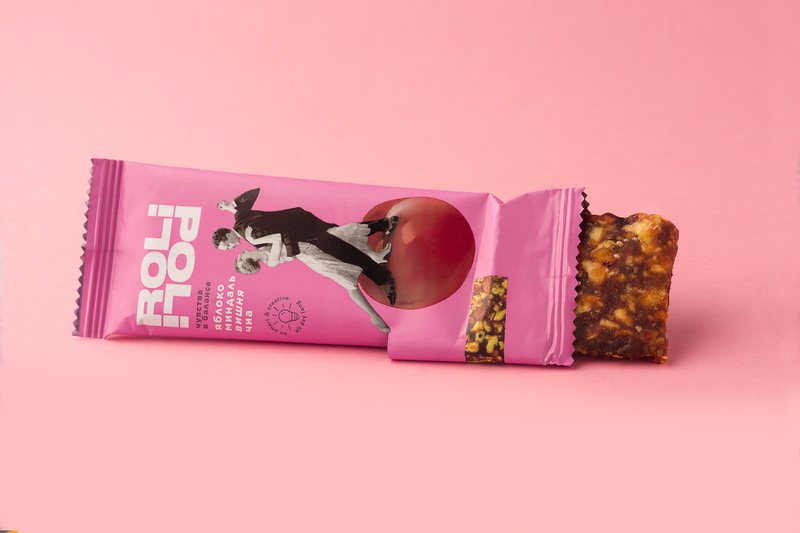 A healthy bar gives you the strength to balance the important things in life, here and now. 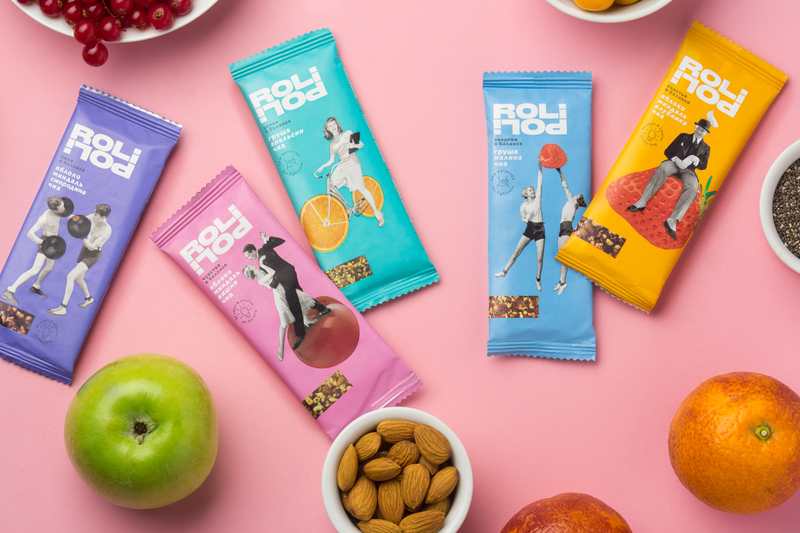 The market of healthy snacks is one of the most actively growing markets, as such snacks meet two consumer needs – a quick snack and a healthy diet. We as a society have more and more opportunities, the speed of life is getting higher – and we want to get everywhere on time, to live in harmony and to enjoy new opportunities. 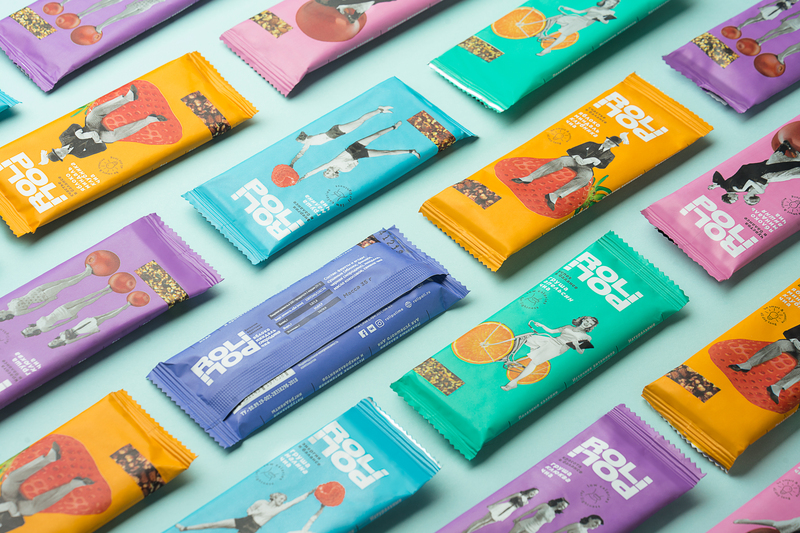 We have designed the perfect bars for modern urban women who face new challenges every day. These women need to do so many things at the same time: constantly look for balance between work and rest, monitor their health and enjoy life, develop their abilities and fool around, communicate with people and indulge in loneliness, look good and have inner peace. 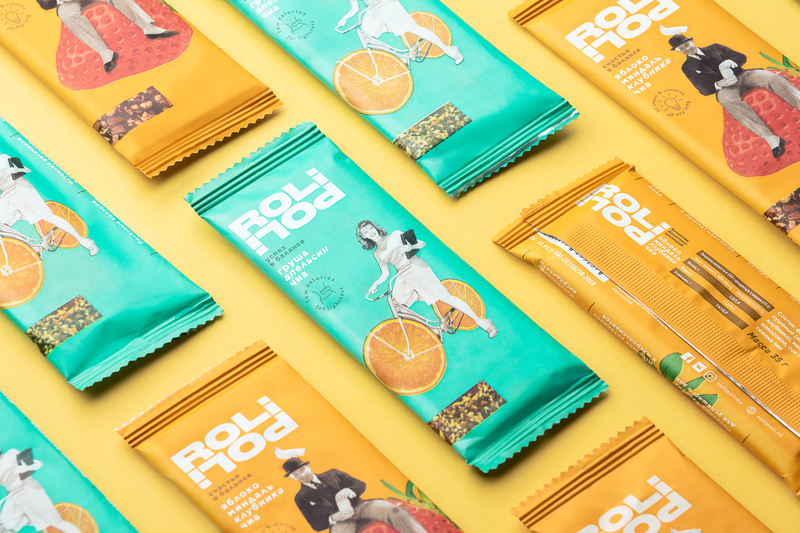 The name emphasizes the idea of the brand – “RoliPoli” sounds like the English name for toy dolls that, as you know, always rise after a fall. This is a great image for those who want to keep a positive attitude. Cheerful retro and bright summer colors work as an illustration of the main idea of the line – balance between the opposite things we are trying to do: sports, career, interesting lectures, communication with the beloved ones. Irony is the main weapon against melancholy, and our surreal illustrations will help to defeat the boring routine of everyday life. 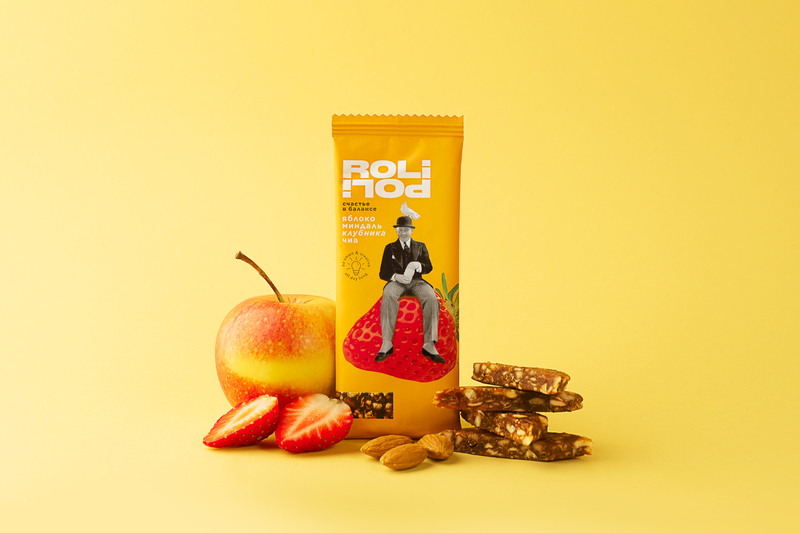 RoliPoli bars are made only of natural ingredients and based on the typical local fruit: high-quality apples and pears. Our target audience will not be fooled by a beautiful picture, they are attentive to what they buy and eat. 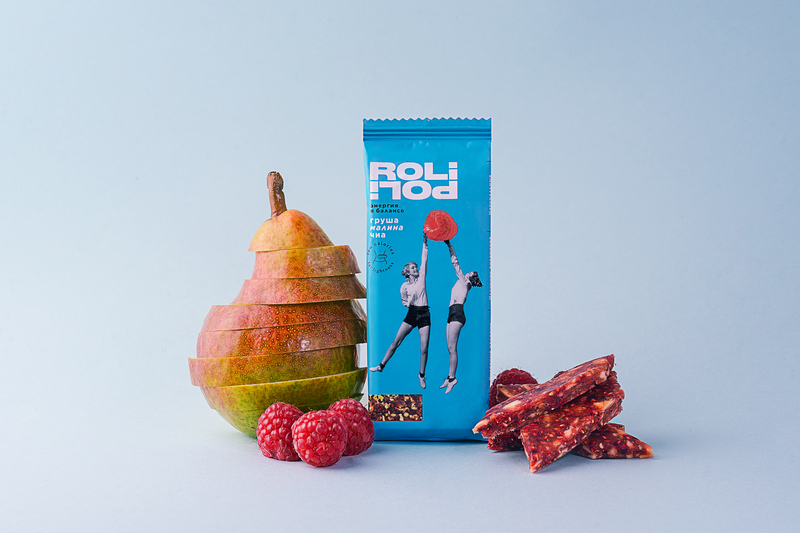 RoliPoli is a perfect addition to an office suit or a yoga mat, to slumber parties or to quiet family evenings.